MOHILI VILLAGE MUNICIPAL PUBLIC SCHOOL needs your support to help its students reach for the stars. Hi, My name is Chaitali Nandi and I teach young ambitious minds at a government school in Mumbai. My students come from an underprivileged background but are not afraid to dream big. ACADEMICS: In order to put our students at par with their peers in private and international schools we believe that we need to provide them with the necessary learning aids and bring technology into their classrooms. 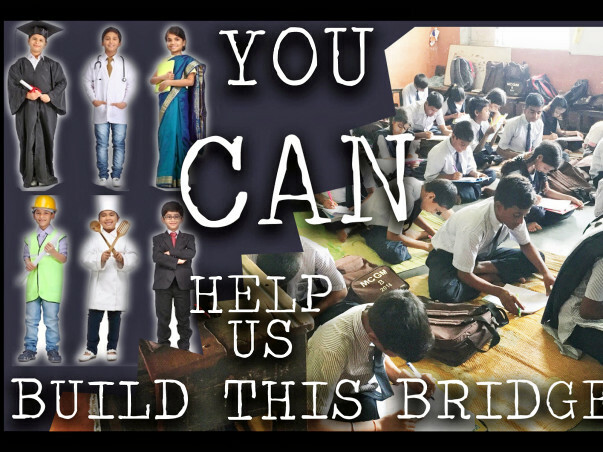 We need your support for school and stationery supplies , for basic and tech aided education. SCHOOL INFRASTRUCTURE: We believe that a safe and comfortable environment is a must for our students who live within four squares and for whom school is the only space to express themselves. Although the focus is on academics and extracurriculars, which are essential for a child's growth, the lack of infrastructure in the school creates an impediment. SPORTS: Apart from academics we want to provide our students with access and exposure to extra curricular activities like sports which not only helps them better their physical health but also helps to shape their critical thinking skills, collaborative approach and as well as their confidence. Our students are confident, hardworking and are full of life. You could be instrumental in shaping their future through your support. Each contributor will have access to complete transparency of how the funds are being used and are welcome to join us in our efforts towards educational equality. We have been able to give kids and their parents learning resources and material. We have extra classes as well as school wherein the stationery and materials are provided. Here's an update on students of Mohilli Village. With the help of your funds, our kids will be participating in a sports movement called Right Pitch in Cricket. As school resumes on November 1st , I will send you all regular updates on the students and all the areas where your blessings upon our kids will be used. THANK YOU from the angels of Mohilli Village. Reach out for 🌟!! All the best!